Camp is Life…all the rest are details! If you’ve been to Jewish camp, then you get it. And if you haven’t been…well, you missed out because Jewish overnight camp is amazing. I am thrilled to share with you an amazing opportunity for residents of the Jewish OC. The Jewish Federation Orange County, in partnership with the Foundation for Jewish Camping, is helping make camp a reality for families with grants of $1,000 that available for first-time campers residing in Orange County, CA. There is some money available for repeat campers as well as other experiential Jewish programs. The Federation wants to make it possible for new campers to take advantage of the amazing breadth of inspiring, exciting, fun and friendship-building Jewish camping opportunities available to our community! 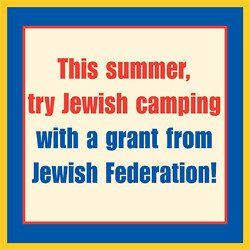 Grants are available to campers applying for the Summer 2008 sessions, and may be used for a session longer than 2 weeks at any of the residential Jewish camps listed. Siblings are allowed to apply. This is not a financial need-based grant. For information and an application, contact Chelle Friedman at ext. 334 at 949-435-3484 or 714-755-5555, or email Chelle@jfoc.org. Online application will be available as of 3/18. I cannot impress enough upon parents how significant a role Jewish overnight camp can play in the development of a child’s Jewish identity. This summer will be Beernut’s first time at URJ Camp Newman and I’ll be up there as faculty. I can’t wait!!! In 2003, the Union for Reform Judaism made the difficult decision to close Camp Swig due to the many limitations of the site, including the scarcity of water, the San Andreas Fault and the landslide of 1995, and because it could not accommodate the growing needs of West Coast campers. With its modern design, URJ Camp Newman can accommodate these needs. As painful as it is, the Union’s Board of Trustees has a fiduciary responsibility to the Union and its congregations to move ahead with a sale so that the proceeds can benefit future generations of campers. Monies from the sale will be directly impact the current and future generations of Reform campers in the West by expanding and improving the facilities at Camp Newman and Camp Kalsman. The property was put on the market and, of course, many hoped that it would remain a Jewish camp. However, no Jewish organization came forward with the financial backing required to purchase the camp. In early February the Union for Reform Judaism Board of Trustees approved entering into a contract with an independent religious group affiliated with the Methodist Church, subject to the due diligence and other normal real estate terms and conditions. Until the sale is closed the Union is obliged, under the terms of the contract, to maintain confidentiality about the buyer. So it is reasonable to wonder what will become of the Judaica and artwork that is a part of Swig as well as the Holocaust memorial. All of the Camp Swig art and Judaica has been inventoried. This includes all the CIT plaques in the CIT moadon, the murals and mosaics and quilts, the Migdal Mayim (water tower), and of course all the stained glass windows. The vast majority of art at Camp Swig is being moved to Camp Newman and, as the new Master Plan evolves, will be placed in new or existing buildings around camp for current and future generations to enjoy. As for the Holocause memorial, it is being relocated to Newman where it can be incorporated into a new memorial and serve to help educate Reform Jewish campers about the Holocaust. The URJ and Pacific Association of Reform Rabbis are excited to invite all those who have been touched by Camp Swig to attend a farewell party on April 6th at camp. Whether you were a camper, former staff and faculty, community member, or a supporter. Families and children, young and old, are all welcome! More details can be found here. And thanks to Jami for the reminder!!! ← My New Favourite Holiday! Nice shout-out to URJ Camp Newman! of course, i love love love camp. have you been on faculty before? i love that too. this will be my fifth year, i think, and my kids just adore being up there. i love how safe they are and how safe they feel. they become like little camp mascots and it just fills me up to see how much they love it. my david is definitely counting down til we go this summer and totally counting until he can stay in the cabins like a “real camper”. next year day camper, then the next year…woo hoo! free at last! he gets to stay in the cabins! Jeremy — that was not an accident, of course. I LOVE that attitude because, in fact, camp really does mirror what Jewish life SHOULD BE year-round. Will you be there all summer? We’ll be up starting August 6 and I am so psyched!! Nosher — isn’t that great when they fall in love with something so wonderful? You should also give a shout-out to the Camp Swig farewell event (Sunday, April 6, 2-5 pm, at Swig). Basically, everyone who’s ever gone to Swig is invited. The camp is in the process of being sold – unfortunately not to a Jewish group. The event is a great way to say goodbye to a beloved place, let the next generation take a quick run around the grounds, see some old friends, etc. And some of us actually met our spouses at Camp (though I wouldn’t’ve known it at the time…)!! yes – i bring a sitter. some years i have brought 2. this year i think michael can handle it with just one. no one’s nursing, no one’s sleeping in our room…hopefully…i think this might be our best summer yet! ;-) yay camp is right! I am so sad to hear about Camp Swig being sold. Thanks to Jami for passing that info. on. Phyl — thanks for the advice. I think that’s what I’ll do!!! I wonder if they asked the Methodist group if they wanted to keep the Holocaust Memorial . . . . The saddest thing about the sale of the Swig property is that a Jewish group did bid on the property as well, with the intention of building a Jewish retreat center there, and maintaining and respecting the lovely Holocaust Memorial Chapel and other artwork. Though it would take millions more, the first step was to buy the land. This Jewish group bid $5 million dollars. The Methodist group bid $6 million, which strikes everyone as a bitterly ironic purchase price for a Jewish camp and Holocaust memorial. I don’t think that the irony was lost. Nor do I believe that the Methodist group purposefully chose a number that would have such painful significance to us. There is a considerable difference between 5 and 6 when we are talking about millions of dollars. And one million dollars can and will make a significantly positive impact on the other URJ camps in our region. The loss of Swig is sad…especially for those of us who have been touched by its magic in some way. And it would have been wonderful to have a Jewish retreat center in the Bay Area. But at the end of the day, the URJ had to make what I know was a very painful, but financially responsibile, decision. I sure would not want to have had to make it. Of course I don’t think the Methodist group chose that number purposefully. I just think it is ironic. We’ve heard so much about “financially responsible decision making” but when all is said and done, it strikes many people as more of a mercenary and immoral decision than a sound financial one. $1 million dollars in Bay Area real estate isn’t much, especially when you realize what is lost. People aren’t mourning the loss of Camp Swig itself–it’s been gone for years–but mourning the decision not to sell such special beautiful land and the Chapel to a group who would essentially keep it in the family, and honor its history. Don’t forget–a Holocaust Memorial Chapel has been sold here–one that was built with the promise of perpetuity. And I would like to hear what the ultimate cost will be of relocating the art from the Chapel to Newman: if there is going to be a new building, won’t that cost at least a million dollars? Will that million dollar difference go directly to West Coast camps? 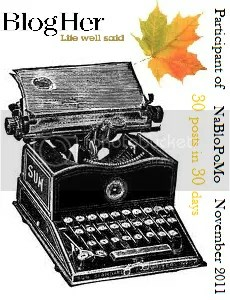 (For that matter, will it plant redwoods and mountains on the plains of Newman–or at least help that camp find its soul?) Or will it just be absorbed into the URJ’s massive budget? I think you have a wonderful blog, and I don’t want any of this to sound personal towards you. It’s just hard to hear canned phrases like “financially responsible” decisionmaking around an issue about Jewish land, Holocaust memorials, and the like. The URJ was offered $5 million dollars from a Jewish group who planned to turn the land into a retreat center. They chose the higher bidder, with no regard to history or future.